UMSL students Qianling Ye, Charis Railey, Robbie Wade, John Hood, Lalitha Jilakara and Tony Marr perform on Wednesday with their classmates during the dress rehearsal for their spring concert. 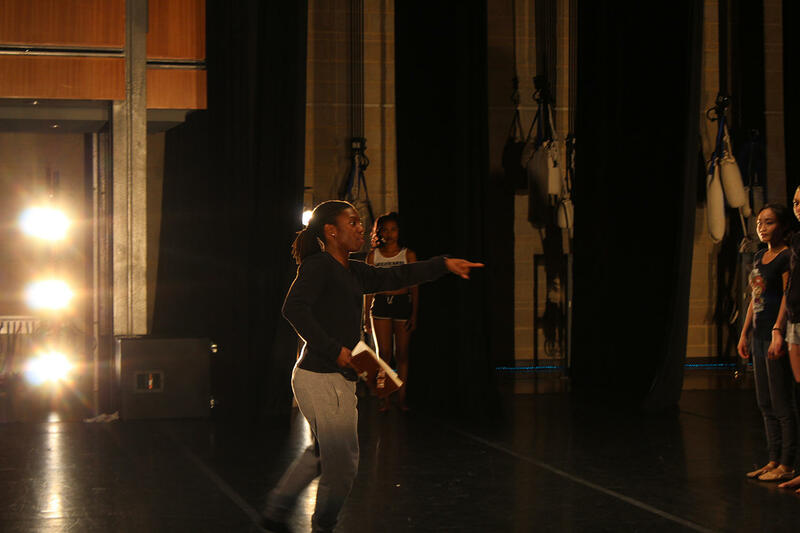 Tony Marr incorporated his theater major into his dance solo for UMSL dance's final concert. Lalitha Jilakara is performing a traditional Indian dance in the concert. 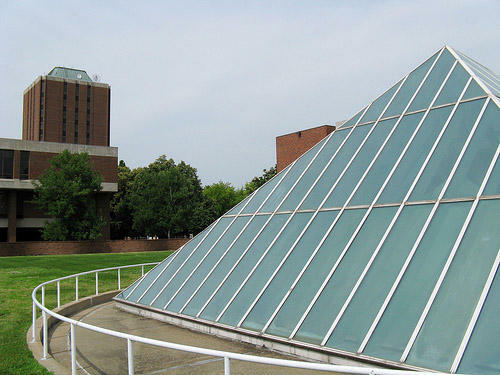 This weekend is the last time those studying dance at the University of Missouri-St. Louis will put on a performance. 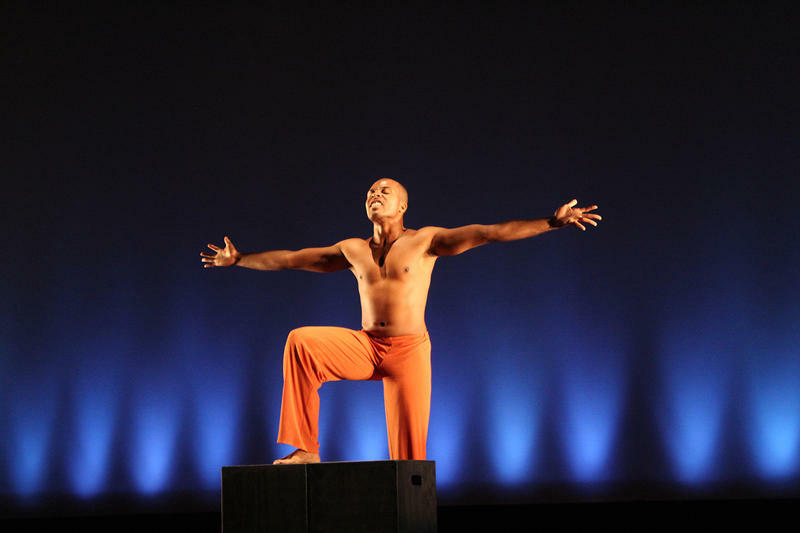 After this semester both UMSL dance professor Ronderrick Mitchell and the students who want to make dance into a career will be gone. 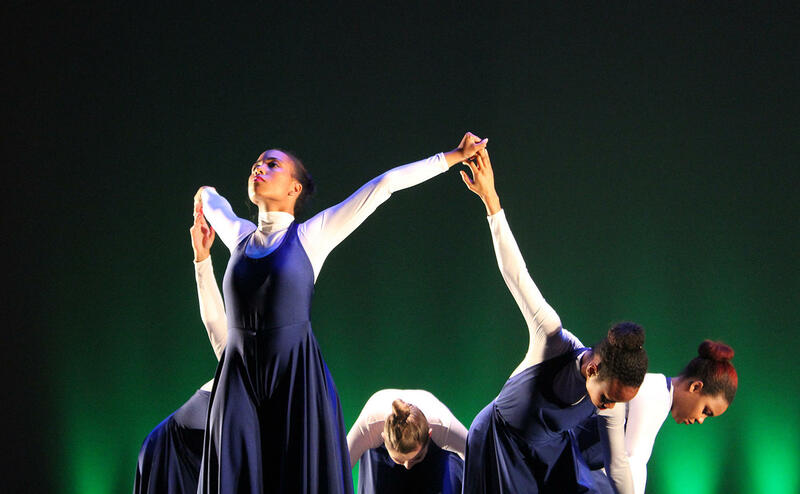 “It was devastating to me (to find out the classes were ending) because even though UMSL was not my first choice, I grew to love UMSL so much, and when I found out that they had my program I loved it even more,” said sophomore Michelle Hughes, who is pursuing a Theater degree in the dance "track." To complete her degree, Hughes is transferring to Lindenwood University, where she will have to repeat her sophomore year and pay almost twice as much for tuition. “That’s a lot of wasted money. A lot of wasted time. I mean, yes you do get the training and you do get the experience. But that’s a lot of wasted money,” said Hughes, who wants to teach at a dance studio. 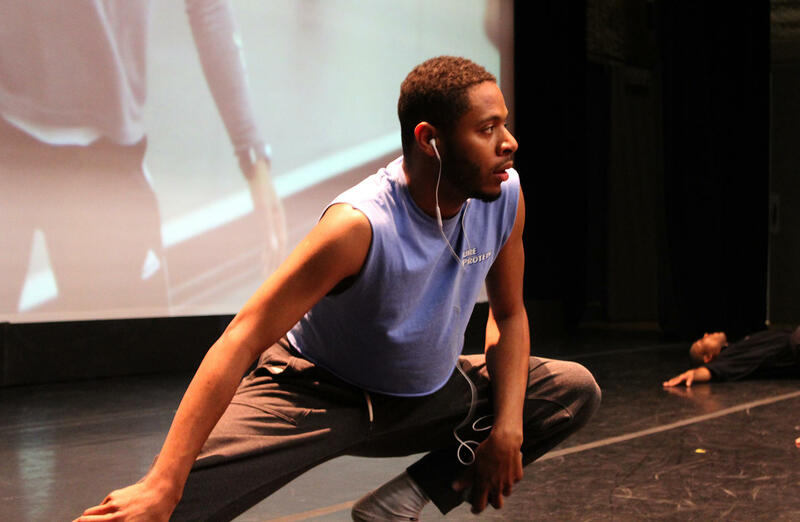 Junior psychology major Joshua Harshaw is dropping his dance emphasis in order to graduate on time. He wants to incorporate dance into therapy. UMSL junior Joshua Harshaw stretches before the dress rehearsal of the final UMSL dance program concert Wed. April 27, 2016. “I’m still not sure what I’m going to do for a minor, if I do one, because dance is gone,” Harshaw said, adding that he feels dance is under-rated as a career. Michelle Hughes performs Wednesday during the dress rehearsal for the UMSL dance program. 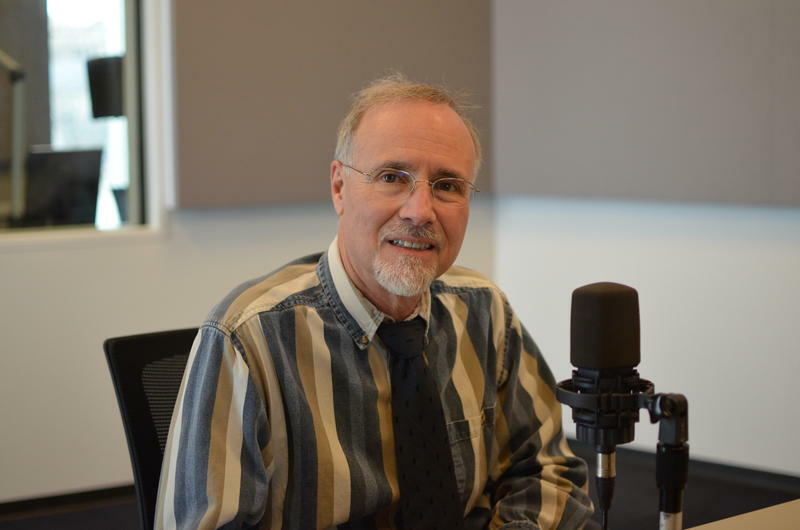 According to university spokesperson Bob Samples, UMSL’s dance emphasis being eliminated due to low enrollment. (Technically, it’s a theater degree with a dance emphasis). As part of the university-wide effort to cut costs, Samples said UMSL is reducing the number of dance classes it offers to the number needed for a BA in Theatre Arts. Mitchell said that given time he could have built up the dance curriculum. UMSL dance professor Ronderrick Mitchell on Wednesday corrects his students during a run through of one of the final dance concert's pieces. 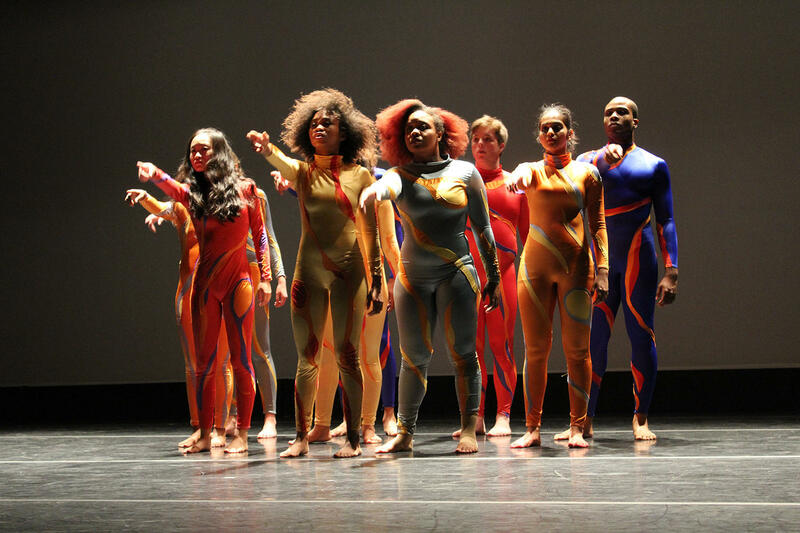 Ten students are performing in the UMSL dance group’s final concert. Hughes said the piece “Be grateful” echoes her feelings about the end of the dance track. 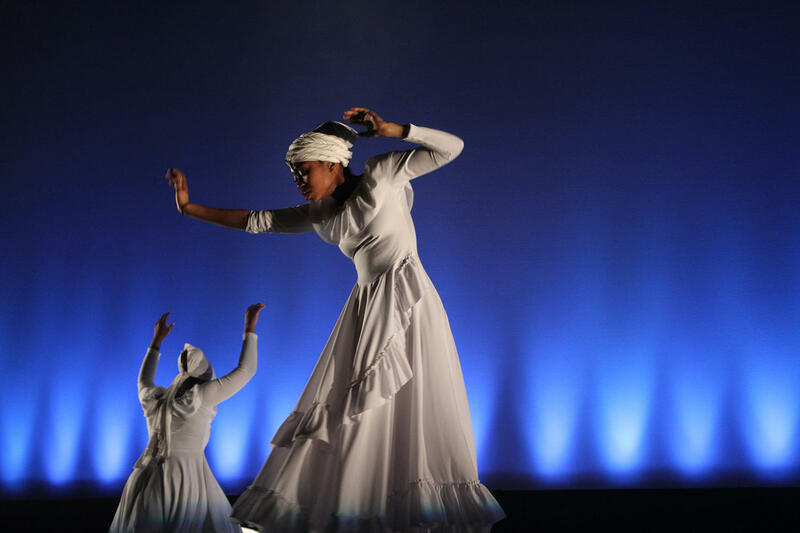 The dance group's final two performances are Friday and Saturday night at the Touhill. 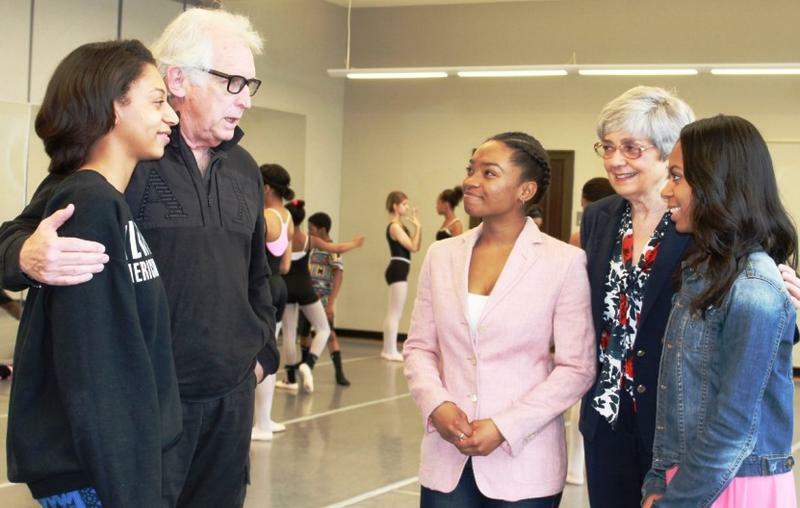 Dance St. Louis is under new leadership as it winds down its 50th season, after executive and artistic director Michael Uthoff announced he's leaving after 10 years. "I’m 72 and I figure I need some time to smell the roses," Uthoff said.